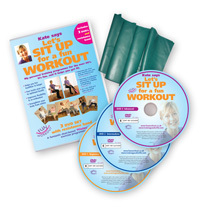 Stay seated in front of the TV and exercise your body and mind in a fun and effective way. This chair-based workout will help you improve your stamina, flexibility, balance and confidence in the comfort of your own home. It’s one of the secrets of living healthier and longer life. These programmes offer a variety of safe, effective and fun workouts suitable for all abilities. A fantastic chair-based ‘Pilates’ inspired exercise programme.